One of the women involved in an alleged road rage incident on Route 126 in Danvers, Massachusetts, will be charged in the coming weeks. 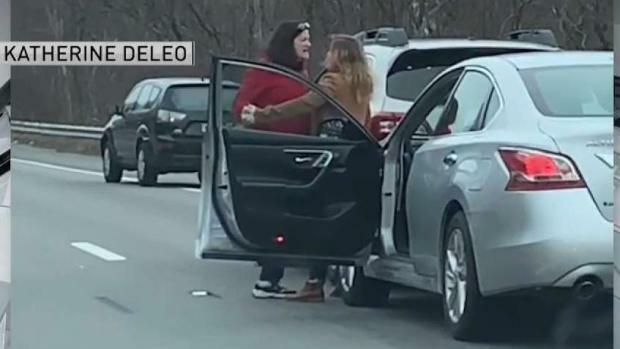 The two Massachusetts women caught on video fighting in the middle of three lanes of traffic on Route 128 in Danvers last month will now both be facing a judge. Susan Lavoie, 64, of Beverly had nothing to say as she left Salem District Court on Wednesday following a magistrate hearing. The court found probable cause to go forward with both the assault and battery and disorderly conduct charges against her. But court records show witnesses told police Lavoie was not the instigator, and she immediately came forward to police after seeing the video of herself on the news. Catherine Bergen, 33, of Gloucester – seen in the video pulling on Lavoie’s car door – faces a handful of charges, including assault and battery on a person over 60 causing injury, stopping on a state highway and reckless driving. Bergen did not answer the door at her house on Wednesday, and police say she did not come forward after the incident - they had to track her down. 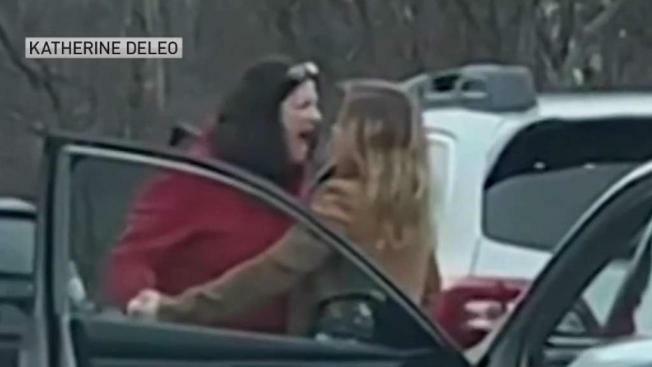 Police reports indicate both women eventually admitted their involvement in the road rage incident and admitted shoving and slapping each other, with both saying they suffered minor scrapes and bruises. State police filed an "immediate threat" notice with the RMV against both Bergen and Lavoie. Both women are scheduled to be arraigned in Salem District Court on April 24.